Ben Gershenfeld is a 17-year-old student from Voorhees, New Jersey. Ben is involved in both his school and his community. He plays soccer and volleyball for Eastern High School, where he soon hopes to win a state championship. He also participates in Model United Nations and loves learning about the world and different cultures. 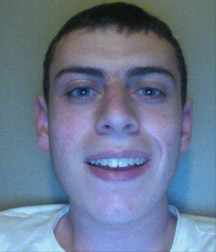 Ben is an intern for Jewish Community Relations Council and is interested in government and international relations. He is also an employee at Wayback Burger, where he cooks hamburgers and makes milkshakes. Ben plans on attending college after graduation from high school and aspires to one day be a top business executive. After being rewarded first place in the Writing for Peace contest, my confidence and appreciation for writing was elevated beyond its previous point. The next major phase of my writing came in the form of college essays. I carried the same lessons I learned from Writing for Peace— incorporating personal examples, evoking pathos, and writing with passion— into my college essays. The consummation of my college writing/application process occurred when I was accepted into Cornell University, where I will be writing the next chapter of my life. As young students, there is much expected of us, but we still don’t have the capabilities to make significant change in the world. We can’t vote. We do not have radio shows or television shows to use as platforms. There are myriad injustices in the world, so how can we promote change? Writing for Peace gives us great opportunities to broadcast our voices and listen to each other. I know that I learned about different cultures and struggles from reading my peers’ works, and I hope someone learned something from mine.